"Super handy tool that save my life yesterday." Customizable auto save interval, number of versions. One click to open versions folder. 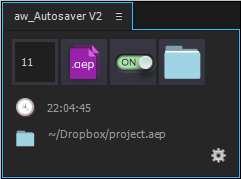 Auto save project`s copy in individual folder. Auto backup of versions folder.